VW introduced the Scirocco in the US in 1975 where it served as the sports coupe variant of the Rabbit, much in the same manner that the earlier Karmann Ghia was the sportier cousin of the original Beetle. 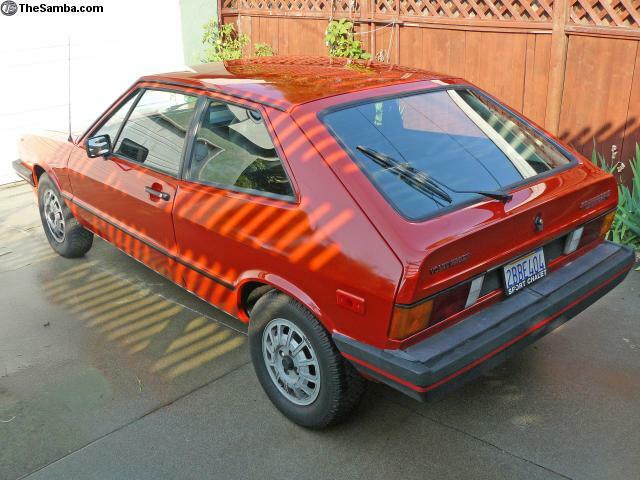 However, the Giorgetto Guigaro penned Scirocco gave VW a presence as a true sports car at a time when front wheel drive was first being introduced to doubtful Americans. VW lucked out via a couple of oil embargos causing a lot of folks to quickly realize that getting 30+ MPG on regular gas in a car that could tackle snow and was a blast on an autocross course wasn't such a bad thing. Front air dams and body kits started to arrive in the 1978 Sciroccos as a Champagne/Sidewinder Edition which was only available in white with black accents. That proved to be so popular that it evolved into a separate S Model. 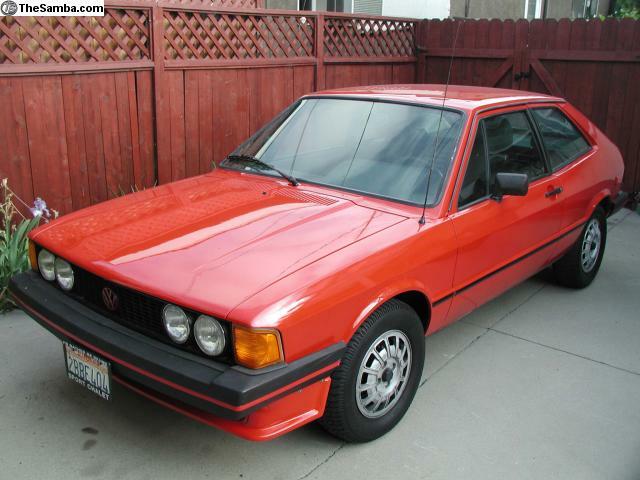 Find this 1980 Volkswagen Scirocco S, in fresh mars red paint currently available in the Samba classifieds for $3500. Special thanks to Mark D for the tip. This particular car has its original seat covers in the back, and the funky golf ball shifter (which was a visual cue that the car was a 5 speed). The seller notes lots of recent repairs and maintenance items, which along with its original alloys, make this one of the better kept MkI Sciroccos that we've seen in quite some time. Hot damn, you guys are on a roll today! I sleep in and this is what I get when I boot up the PC?